Objective: Handwashing is proven to prevent the infections of diseases such as the entrovirus, SARS, and H1N1 influenza. Whether patients with chronic schizophrenia, often presenting limited perceptual-motor and cognitive function, can correctly implement the correct handwashing procedures and actions is a problem yet to be explored. The purpose of this study is to investigate the handwashing hygiene behavior in patients with chronic schizophrenia in order to facilitate hygiene behavior training. 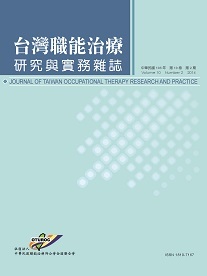 Methods: This study used observation assessment methods, the study subjects are 171 patients in a psychiatric sanatorium in southern Taiwan. With reference to the five steps of handwashing developed by Centers for Disease Control, ROC (Taiwan), a "Correct Handwashing Score Sheet" was designed and used in the study. Results: At present patients with chronic schizophrenia were only able to perform the hand washing steps (rubbing palm to palm fingers interlaced, rotational rubbing of thumb, rubbing fingertips on the palm, rotational rubbing of wrist, and cupping hands under water to rinse tap three times) at a below average level; the overall functional status of the subjects showed significant differences in the performance of correct hand washing (F=59.30, p<.001); female and male subjects showed no significant difference in the performance of correct handwashing (F=.068, p=.317); different age groups showed significant differences in the performance of correct handwashing (F=4.03, p=.019); different educational levels of subjects showed significant differences in the performance of correct handwashing (F=5.72, p=.001); different disability levels of subjects showed significant differences in the performance of correct handwashing (F=10.71, p=.000). Furthermore, results from multiple regression analysis revealed that predictive variables for correct handwashing performance in patients with mental illness are: nursing floor, and autonomy floor, these two variables could explain 45.0 % of the total variance of proper handwashing performance. Among them, the nursing floor, was shown to be the main predicting variable. Conclusion: Poor overall function of chronic patients with mental illness showed relatively low scores in handwashing performance, thus presenting need to spend more time or adjust teaching methods during future handwashing training. In particular, the actions rubbing hands and cupping hands under water requires repeated instruction, reminders and assistance to implement proper handwashing. It is suggested that future research may explore the cognitive function of chronic patients with mental illness in conjunction with handwashing hygiene training courses, to clarify the learning effects of the patients in actions rubbing hands and cupping hands under water.